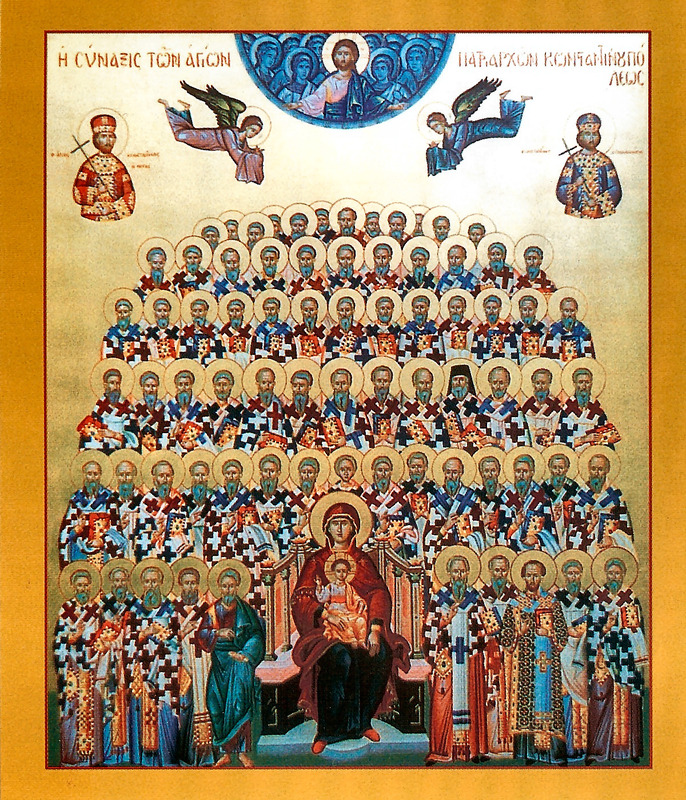 Our Holy Father Eustathios was the protopresbyter of the imperial palace when he was raised to the Patriarchal throne by the Emperor Basil II in 1019. Eustathios participated in the efforts of the Eastern Romans in 1024 to come to an accommodation with the Latin Papacy concerning the widening gap between the Western and Eastern Churches, which culminated in the Great Schism of 1054. At the time of Eustathios, the Papacy claimed dominion over the Christian world, not just primacy, a position which offended Constantinople, the effective spiritual guide of much of the East to include the Russians, Bulgarians and Serbs. Eustathios offered a compromise to Pope John XIX, suggesting that the Orthodox Patriarch would be ecumenical "in its own sphere" (in suo orbe) in the East as the Papacy was "in the world" (in universo). In other words, Constantinople sought to be self-sufficient and autonomous while recognizing the supreme authority of the Papacy over the world. It is assumed this was Eustathios' effort to retain control over the Southern Italian churches. While the offer was rejected, since the Pope would accept nothing but submission to his absolute supremacy, there was an acceptance by John of the practice of the Byzantine Rite in the south of Italy in exchange for the establishment of the Latin Rite churches in Constantinople. This prevented a schism for the time. After this the matter rested until a new Patriarch and new Pope precipitated the crisis in 1054. Niketas Stethatos attributes to Patriarch Eustathios the practice of concealing the clergy in the sanctuary by a curtain during the anaphora, since the mysteries are done hidden and in silence. However, there is no historical record to confirm this. He reposed in 1025.